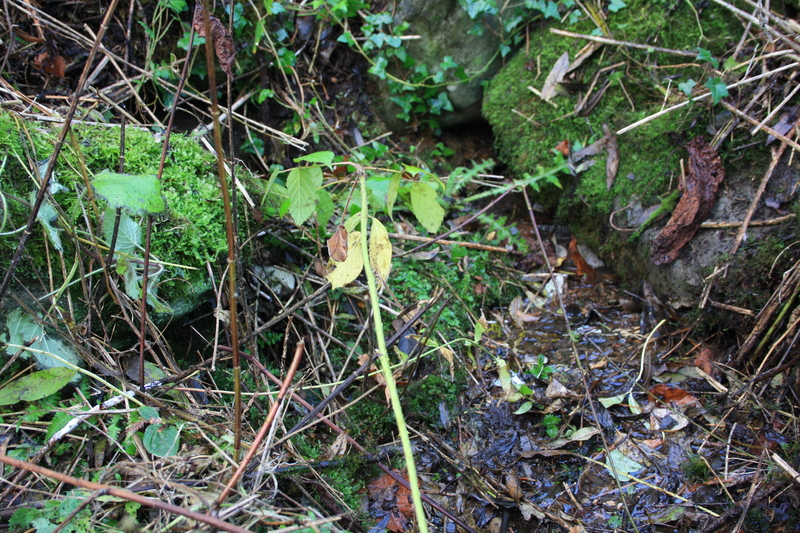 It seems, however, that these were ultimately unsuccessful, as St Michael’s Well when we found it was as ruined and overgrown as it might have been 20 years ago. There were reports of a large tree that had been growing within the well, destroying the stonework. Attempts were made to remove this without further damaging the well, firstly by cutting down the tree and then by posioning the stump to try to break it up. 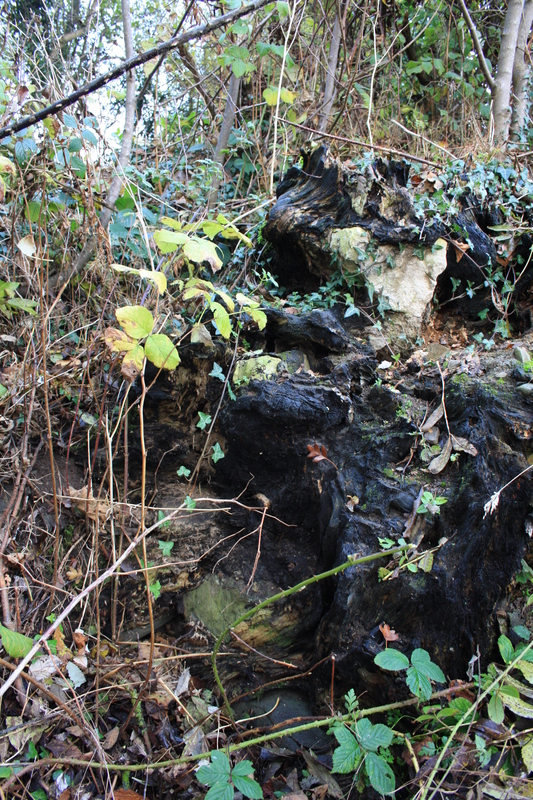 Finding the blackened remains of this stump, sitting onto of a layer of stonework, was the first indications that we were in the right place. The well is to the left of a road leading out of the village to the south west from the back gate of the church, about 100 yards from the church and a little way past a house called Tyddyn Mihangel, clearly named after the well. It is several feet below the present road level. Apparently earlier excavations found the remains of steps leading down to the well, although there is little obvious evidence of these now. 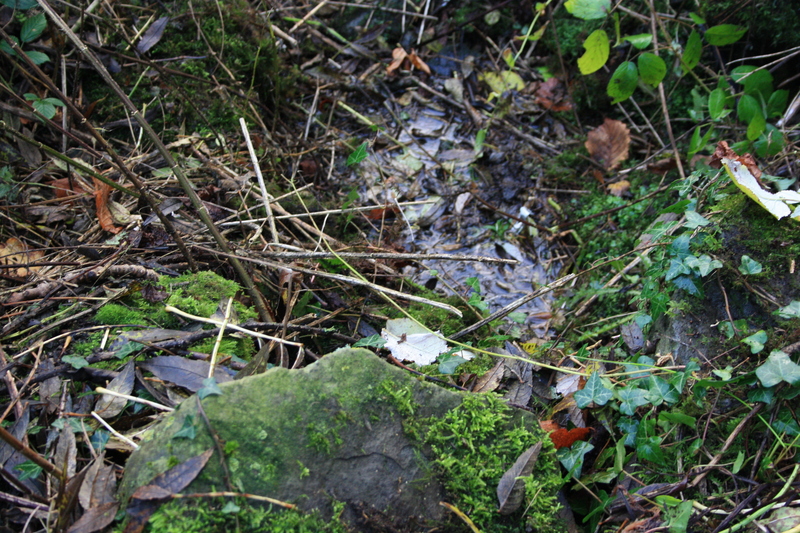 The well rises into a loose stone basin, about three feet square and about two feet deep. The water was certainly flowing well on the day we visited, the overflow runs away as a little stream into a neighbouring field. 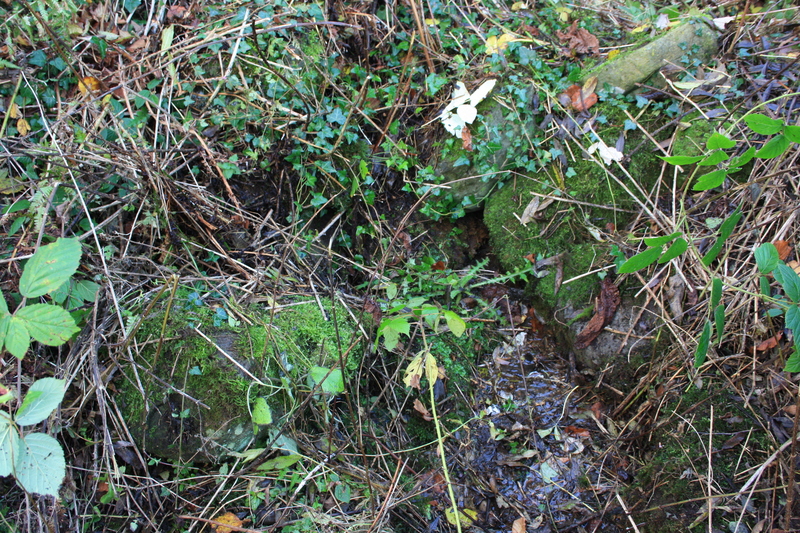 It was difficult to determine, amongst the nettles and brambles how much of the basin remains, other than the single layer of stones that could readily be seen. There does appear to be a good quantity of dressed stone scattered randomly about the site. 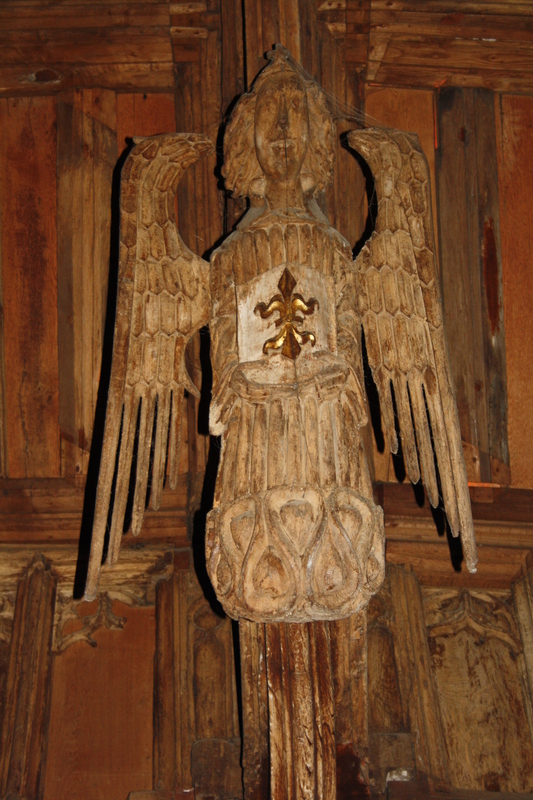 The church at Cilcain is dedicated to St Mary, rather than St Michael. 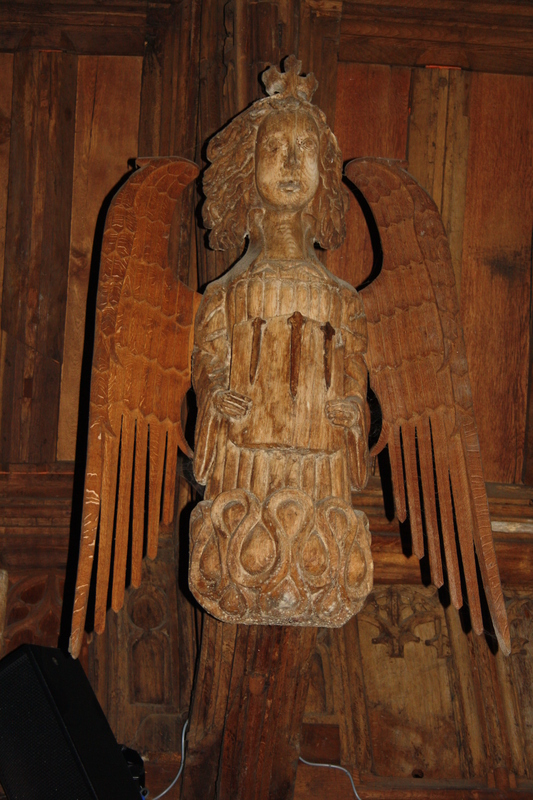 It is worthy of visit for its interior wooden roof, apparently appropriated from Basingwerk Abbey following the dissolution, and containing a number of medieval carved wooden angels and demons, examples of which are shown below. Documented on various pages of the website of the Welsh Holy Wells Society Cymdeithas Ffynhonnau Cymru This site is in Welsh, for non Welsh speakers google translate does a reasonable job with it.